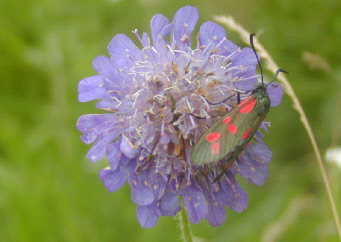 The diversity of habitats found within the site, from densely wooded areas to open glades, rides and bracken covered slopes ensures a rich and varied mixture of invertebrate species. 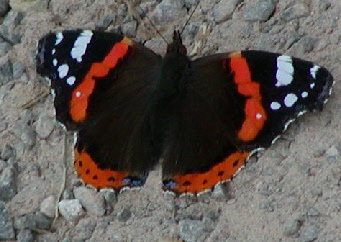 Some of the wood’s smaller residents may be familiar, such as the Seven-Spot Ladybird (Coccinella septempunctata) or the Peacock (Inachis io) and Red Admiral (Vanessa atalanta) Butterflies. Some of the others may not be so familiar. 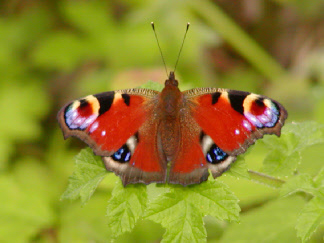 Almost twenty species of butterfly have been recorded on or near the woods, from the common species mentioned above, to the scarcer species such as the Pearl-Bordered Fritillary (Boloria euphrosyne). Many of these are found in the open areas of the woods, with species such as the Speckled Wood (Pararge aegeria) sunning itself in the woodland rides. Such habitats are also home to species you are more likely to hear than see – the grasshoppers and crickets. 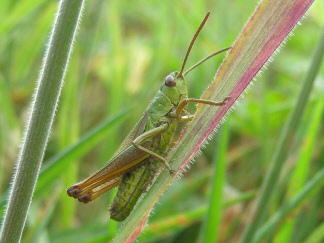 Both Common Field Grasshopper (Chorthippus brunneus) and Meadow Grasshopper (Chorthippus parallelus) inhabit areas of long grass, while Speckled Bush Crickets (Leptophyes punctatissima) and Dark Bush Crickets (Pholidoptera griseoaptera) are more likely to be encountered in areas with more bramble and young scrub. A light in the wood at night may result in an encounter with the Blood-Vein (Timandra comae), Lilac Beauty (Apeira syringaria), Flame Shoulder (Ochropleura plecta), Maiden's Blush (Cyclophora punctaria), Setaceous Hebrew Character (Xestia c-nigrum) or Heart & Dart (Agrotis exclamationis). These are just some of the fifty or so wonderfully named moth species to have been recorded at Ruperra - more than double the numbers of species compared to their day-flying relatives. In the leaf litter, the 1.5-2cm long, aptly named Snail Hunter (Cychrus caraboides) hunts its prey. This beetle, as its name suggests, hunts snails which abound in the woods. 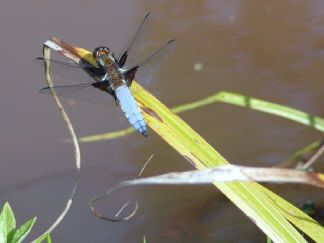 Its long thin neck and thorax are perfect for getting inside of its prey’s shells. The familiar and relatively large Garden Snail (Cornu asperum) and the smaller, more striking Brown-lipped Banded Snail (Cepaea nemoralis) makes for more than a mouthful for the carnivorous beetle. However, the leaf litter contains more manageable prey in the form of the Discus snail (Discus rotundatus) and Garlic snail (Oxychilius alliarius). This latter species makes for a smelly meal, for when disturbed it releases a secretion that smells of garlic. Other predators also patrol the woods. 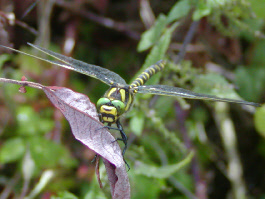 The numerous pools are home to dragonflies and damselflies such as the Common Hawker (Aeshna juncea) and Golden-Ringed dragonfly (Cordulegaster boltonii) which can also often be seen hunting along woodland rides, seeking out other flying insects on which to prey. 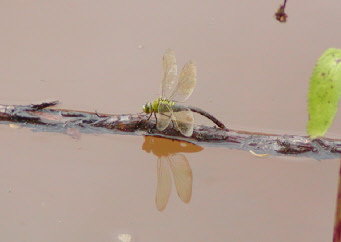 And just as with the Snail Hunter, the dragonflies have a diversity of species to choose from. 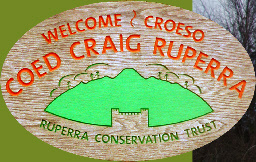 However, despite the diversity of invertebrates we already know of in Ruperra, they remain for the most part an under-recorded and studied group. 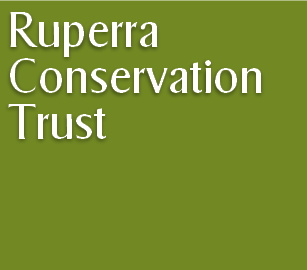 So keep your eyes peeled as you may encounter the next mini-beast first for Ruperra!